The Emoji Subcommittee (ESC) is on the front lines of Unicode emoji. It is responsible for accepting requests for new emoji and emoji sequences, helping requesters to fill out missing areas in their proposals, and providing prioritized recommendations to the Unicode Technical Committee. Peter Edberg is stepping down as the co-chair of ESC, a role he has filled since its inception. 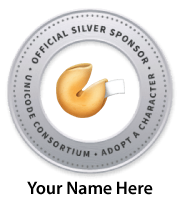 He is one of the key people involved in Unicode emoji since the very beginning, so we are very lucky that he will continue as one of the technical leaders of ESC, and remain the co-author of “Unicode Emoji” (UTS #51). To ensure the smooth operation of the ESC, we have three eminently-qualified new vice-chairs: Jeremy Burge, who has been responsible for crafting and refining proposals from the most popular requests received at Emojipedia; Jennifer 8 Lee, who has played a pivotal role in developing, inspiring, and mentoring emoji requests through Emojination; and Tayfun Karadeniz, who has researched, organized, and shepherded emoji in the very popular areas of smileys and human-form emoji. All three have already made lasting contributions to the work of the ESC, and we welcome them in their new roles.